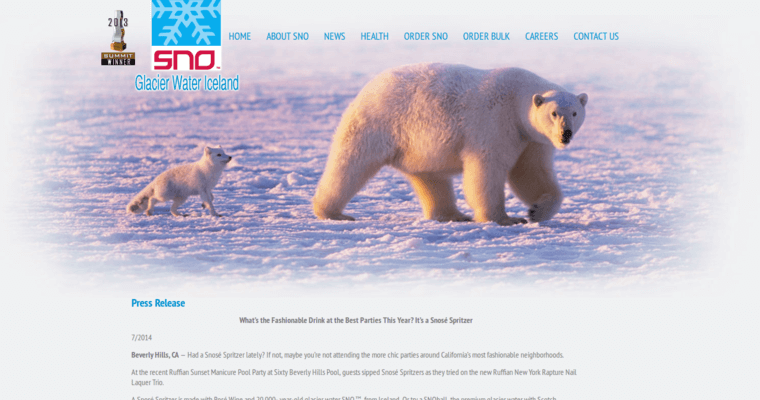 The Sno Water brand of bottled water comes from a remote environment inside the frigid tundra of Iceland. Categorized as a glacial water it comes from the Eyjafjallajokull Glacier, which has existed for more than 20,000 years. The surrounding wilderness environment combined with the frigid temperatures of the area, help to make this one of the world's purest waters. The purity of the water is also maintained as it travels deep underground through many layers of volcanic rock. This rock acts as a natural filter to ensure the water remains untouched by pollutants. 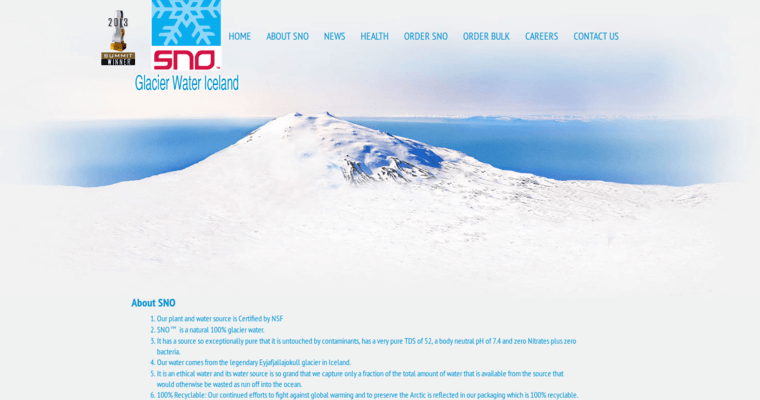 As an oxygen rich water, Sno Water is also endowed with many essential minerals that help keep the body healthy. 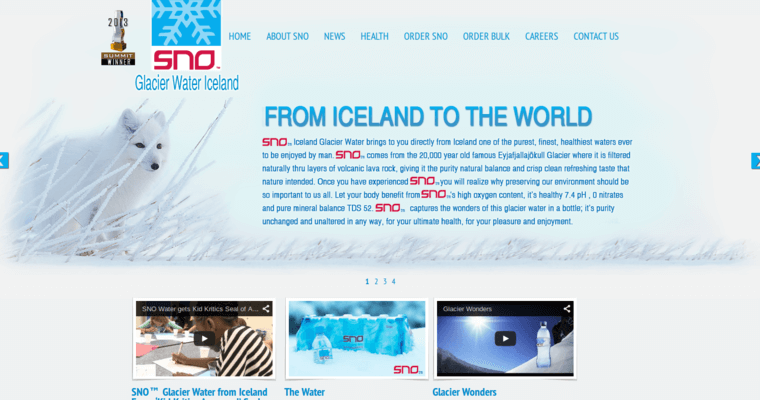 People who choose to drink Sno Water will be able to enjoy its refreshing taste as well as its unique combination of calcium, magnesium, fluoride and potassium. This water also has a pH balance of 7.4 and contains zero nitrates.